Is your PPT presentation password protected? Before you proceed to use one of the methods given below, it is important to first find out if your PPT file is indeed corrupt. First find out if the presentation has a password added to it. If you are trying to forcefully open a password protected PPT presentation, then also you may encounter this error. In this case, you must resave the file without any password and open it. Have you received the presentation in the form of email attachment? Sometimes, when a file is sent as an email attachment, it may get corrupted during the process. Therefore, if a presentation sent through email attachment is giving the above error message, ask the sender to resend it in the form of zip file by using zip function such as WinZip. You can also opt to upload the file to a FTP site, if you have one available. Are you trying to open the presentation using an old version of MS PowerPoint? If you are using PowerPoint 2003 and trying to open a presentation created using PowerPoint 2010, then the file will not open. In such cases, you need to save the presentation in 2003 format and open it. You have checked your PPT presentation for all the above possibilities and found that your presentation is actually corrupt. In that case, you can follow a number of things to recover it, such as moving the file to a different location, opening it in MS Word, using safe mode, using damaged presentation troubleshooters, etc. 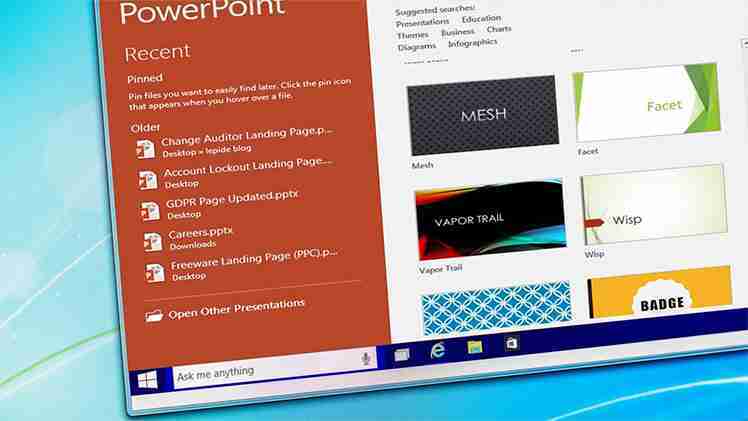 If you are unable to recover damaged presentation after trying all this, then it is recommended to use a third-party PowerPoint recovery tool. Kernel for PowerPoint recovery is one such prominent tool that can ideally be used to deal with all sorts of PPT corruption issues. It meticulously scans the corrupt presentation to extract data from it and write it in a new healthy PPT file. It is a read-only software and it leaves the original file intact during the process. The software is also available as a free trial version and you can test its potential before actually buying it. It is compatible with PowerPoint 2010, 2007, 2003, XP and PowerPoint 2000.